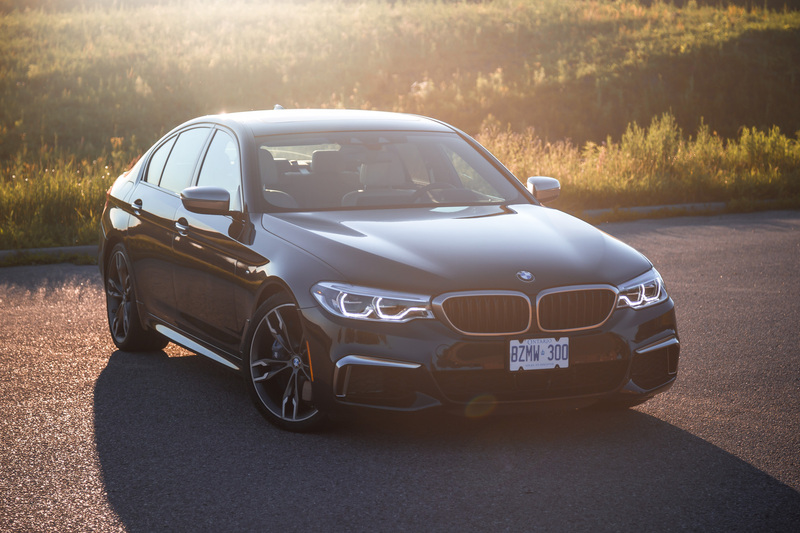 The new M550i xDrive is yet another one of those “almost-M” models from BMW, slotted above the 540i and just below the upcoming G30-generation M5. 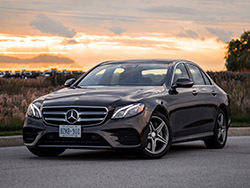 Surely, the folks at Bavaria weren’t going to let the Mercedes-AMG E 43 steal all the spotlight. Some might even call it overkill. 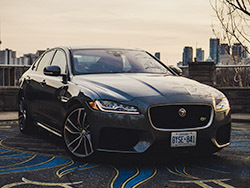 Under the hood of this hot-rod luxury sedan is the same twin-turbo 4.4-litre V8 that was in the outgoing 550i, but has been massaged to deliver a show-stopping 456 hp and 480 lb-ft via an 8-speed transmission. 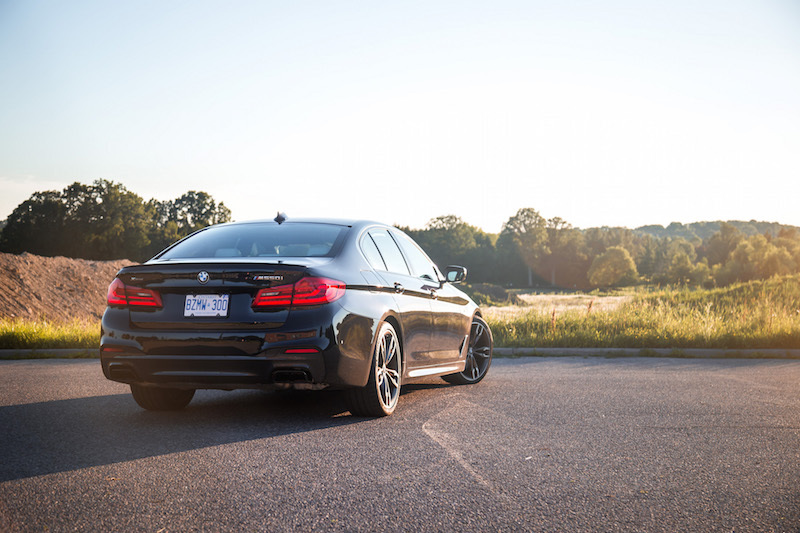 It’s all-wheel drive only as well, meaning this M550i xDrive can fling five passengers from 0-100 km/h in 4.0 seconds, which puts it into the speed realm of the Mercedes-AMG C63 S and Audi RS7. 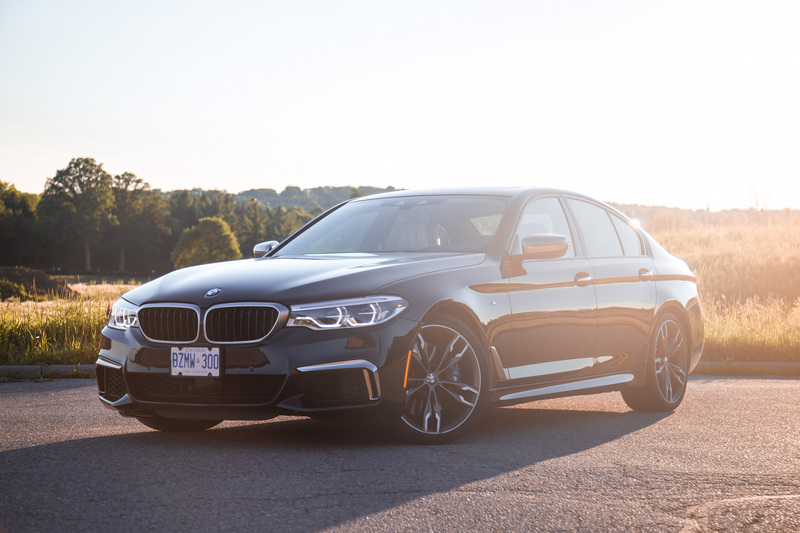 The BMW M550i xDrive carries an MSRP of $80,900, which is more expensive than the Mercedes-AMG E 43 4MATIC ($79,900, 396-hp, 384 lb-ft) but cheaper than the Audi S6 ($90,850, 450-hp, 406 lb-ft). 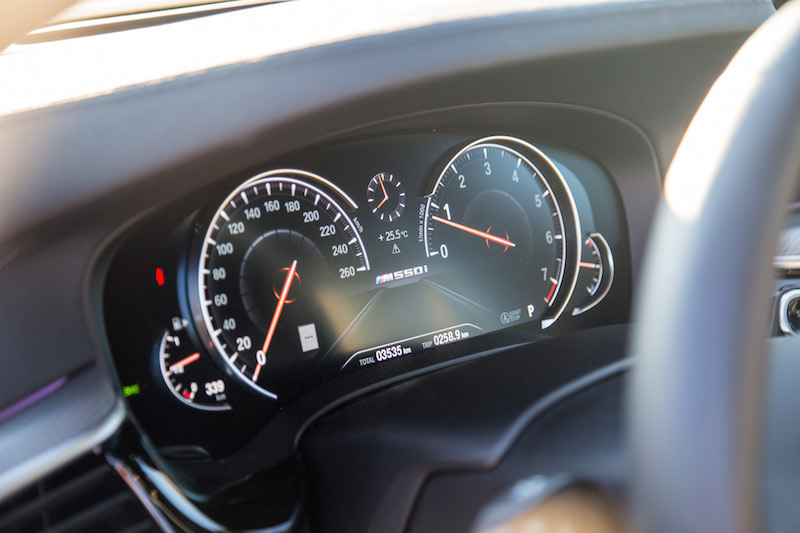 Despite the price disparities, the M550i xDrive actually accelerates quicker to 0-100 km/h than both Germans by a relevant 0.6 seconds (E 43 and S6 achieve 0-100 km/h in 4.6 seconds). 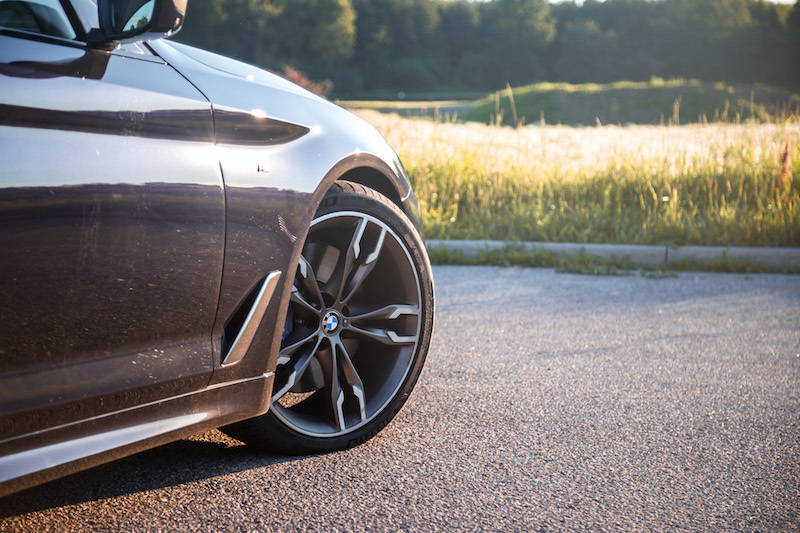 Those with a keen eye for numbers will also realize that the M550i is quicker than the previous F10-generation M5 thanks to less weight and more traction - all-wheel drive almost sounds like cheating at this point. That’s quite a feat, especially for a sedan that looks nearly identical to the vanilla four-cylinder 530i, and currently makes the M550i the fastest 5 Series you can buy in Canada - the Alpina B5 Biturbo is quicker but is unfortunately unavailable on this side of the pond. 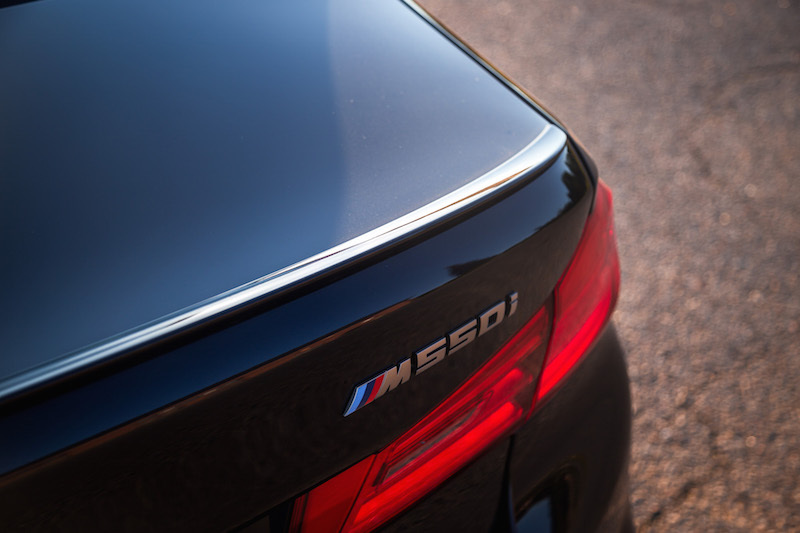 Cosmetically, the M550i sets itself apart from other 5 Series models with an M rear spoiler and finishes in Cerium Gray (like the M760Li) on the mirror caps, kidney grill, and front air intakes. 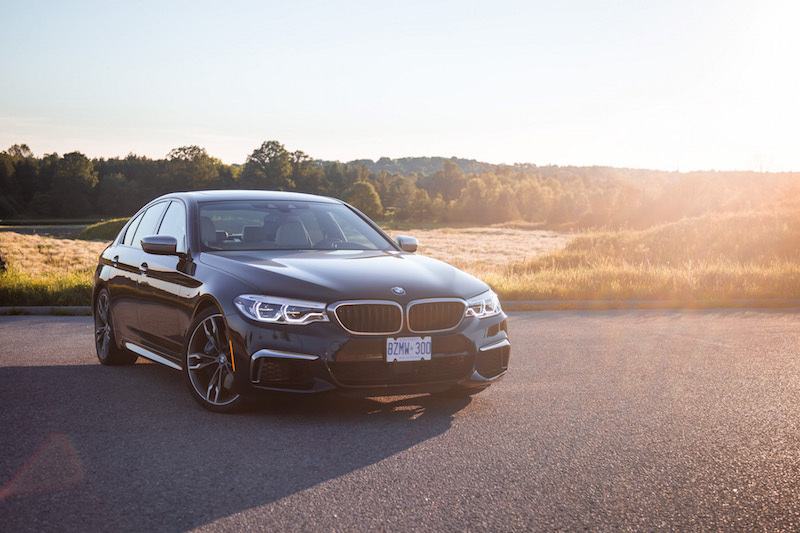 The M550i also receives an M sports exhaust with black chrome tailpipes, door sills with an illuminated M550i inscription, glossy black trim around the window sills, standard sport seats, and aluminum pedals. It also rides 10mm lower. 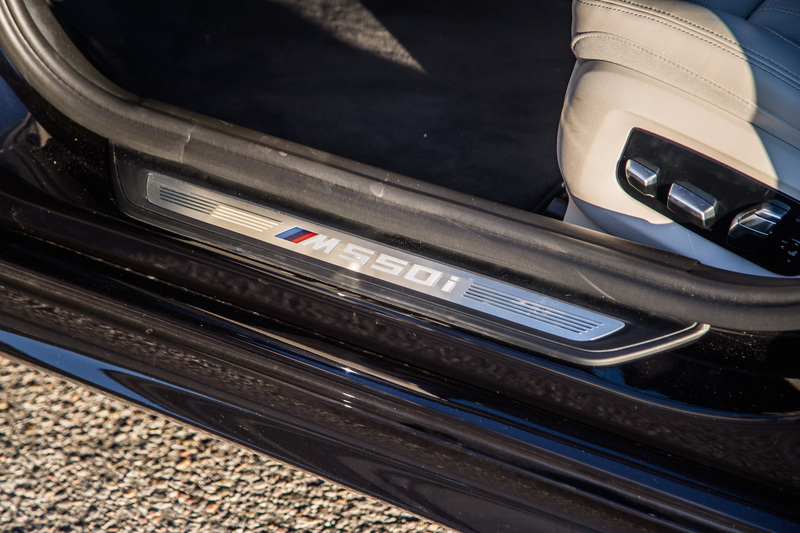 In all, the M550i doesn’t appear all that different from your run of the mill 540i. Some will appreciate that sleeper status award, but something tells me that most BMW owners want a little more flair. I would get rid of those geeky M badges on the side fenders, though. They look out of place on this gentleman of a ride. And the same goes for the driving experience. 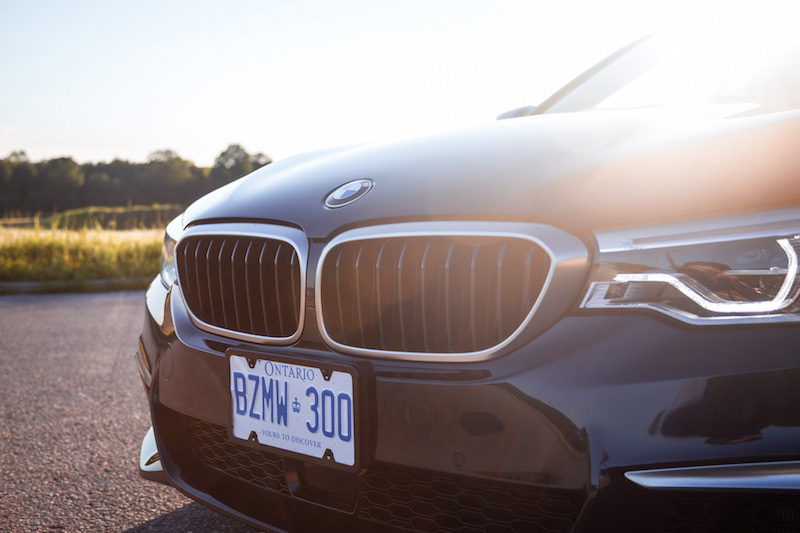 When cruising along at city speeds, the M550i drives no differently than the 540i either. When set to Comfort, the suspension is soft, lenient, and forgiving. Potholes are absorbed like a sponge with no residual shake felt by passengers. 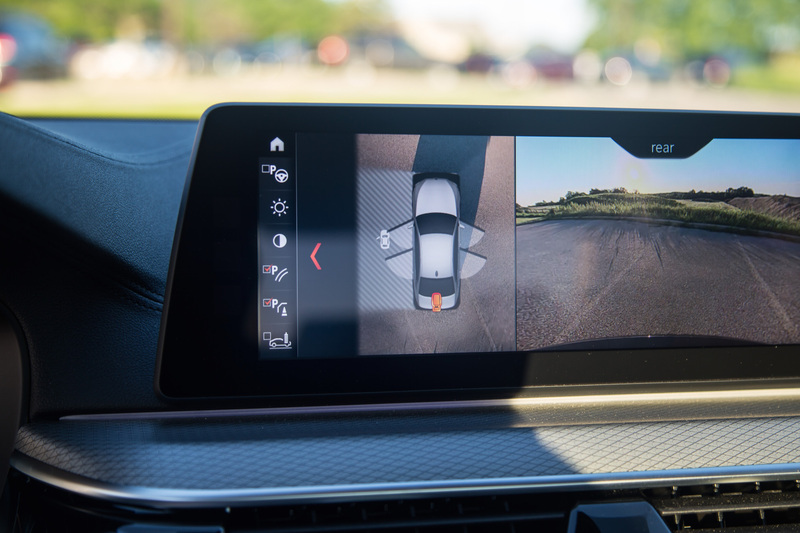 There’s some body roll in corners but the overall vehicle feels taut and tucked in. 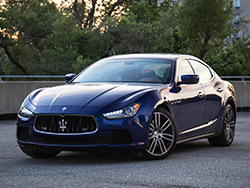 The exhaust is subdued, steering is light, the 8-speed shifts imperceptibly, and overall ride quality is serene and luxurious. But when Sport or Sport+ is selected, all systems go into Defcon 1. The steering sharpens with more effort, the suspension firms up significantly, the gearbox shifts quicker and holds gears longer, the pedal response is needle-pricking sensitive and more importantly, the exhaust opens up and clears its throat. If none of these settings are to your liking, there’s also a Sport+ Individual mode where you can tailor each setting to suit your tastes. 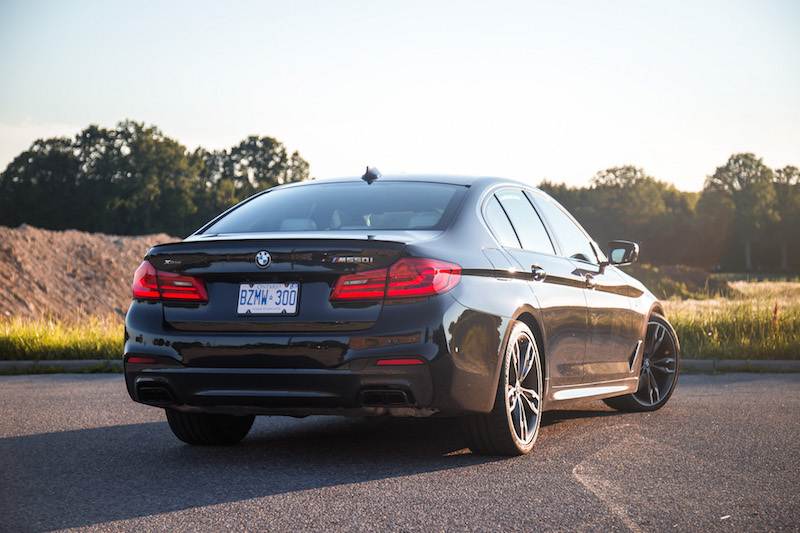 In Sport mode, the blown V8 doesn’t feel turbocharged at all due to its free-revving nature. There’s a monster load of torque right from 1,800 rpm, and it doesn’t seem to let up until the red line. From there, the buttery smooth 8-speed ZF takes over and shifts with a creaminess that few high-performance business sedans can muster. 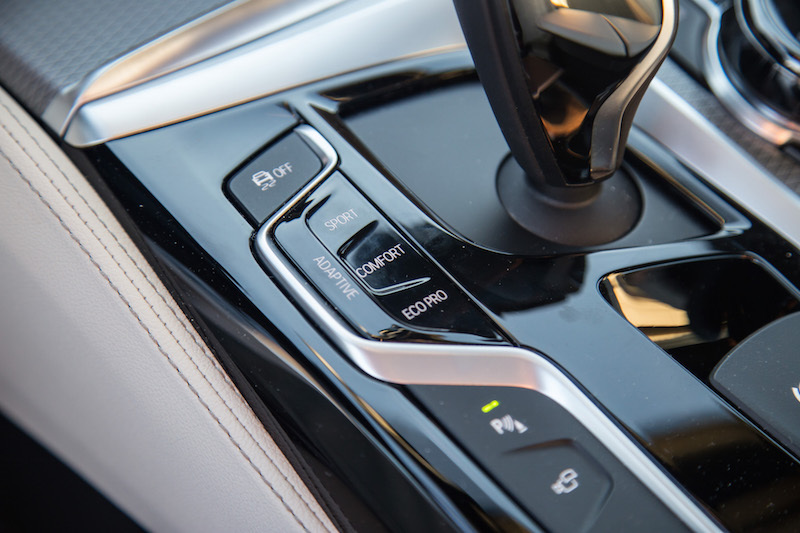 I actually prefer this 8-speed over the 7-speed DCT in the M5, which was lightning quick but lacked refinement and smoothness when cruising at lower speeds. The exhaust soundtrack is definitely the highlight of this V8 sedan. 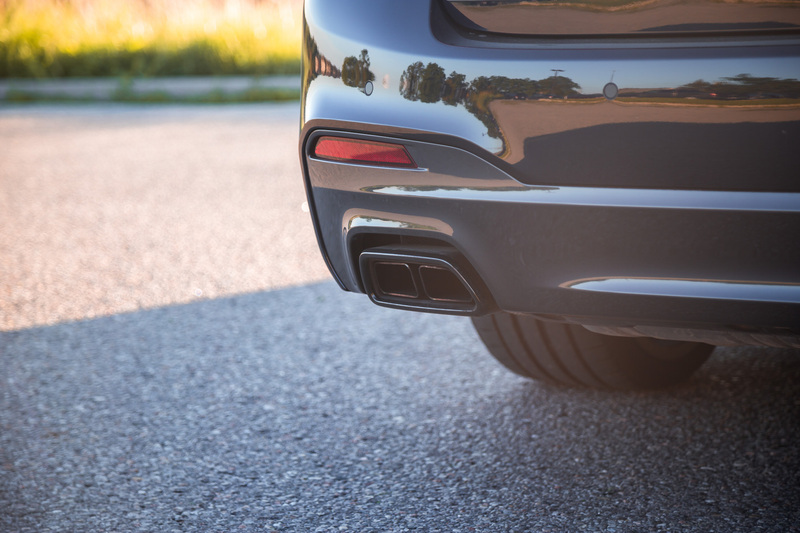 Though subdued in Comfort, Sport mode opens up the exhaust valves for an authentic and organic eight cylinder grumble that sounds meaner and louder than the 650i which uses the same engine. I’d argue that it sounds better than the Alpina B7 too. The M550i delivers a suave soundtrack accompanied by deep grumbles with overrun farts, but it’s not in-your-face brash. Rather it feels mature and professional, fitting of the 5 Series image. The M550i offers tidy handling. It turns sharply and quickly enough to brainwash the driver into thinking it’s a smaller vehicle. Be that as it may, some enthusiasts may argue that the steering isn’t sharp enough, the suspension isn’t firm enough, and that the exhaust isn’t loud enough. Well, that just justifies the M5 premium upgrade, doesn’t it? 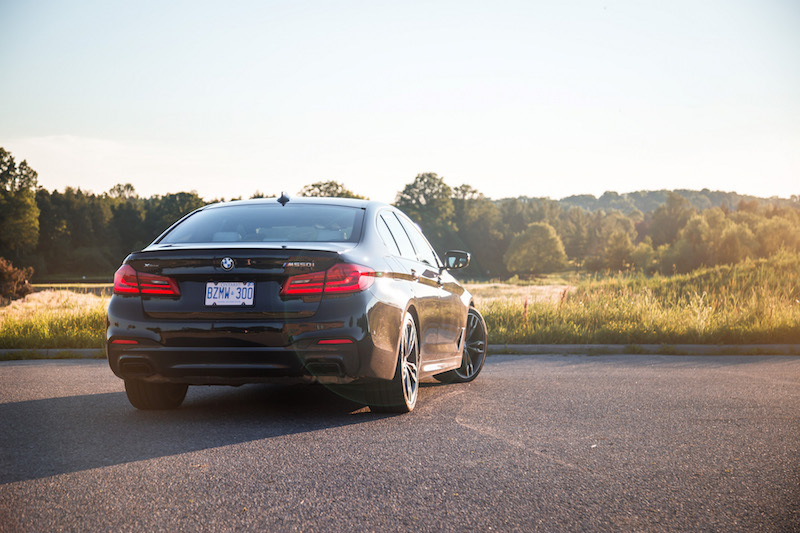 Like I said in my 540i article, the 5 Series is essentially a shrunken 7 Series. All of the halo technology has trickled down as well. The interior is sumptuous and offers all options on deck. Our M550i tester wasn’t as fully loaded as our 540i though, which wasn’t a bad thing. It helped me realize that I can do without most of the tech and gizmos such as the Display Key and heated armrests. 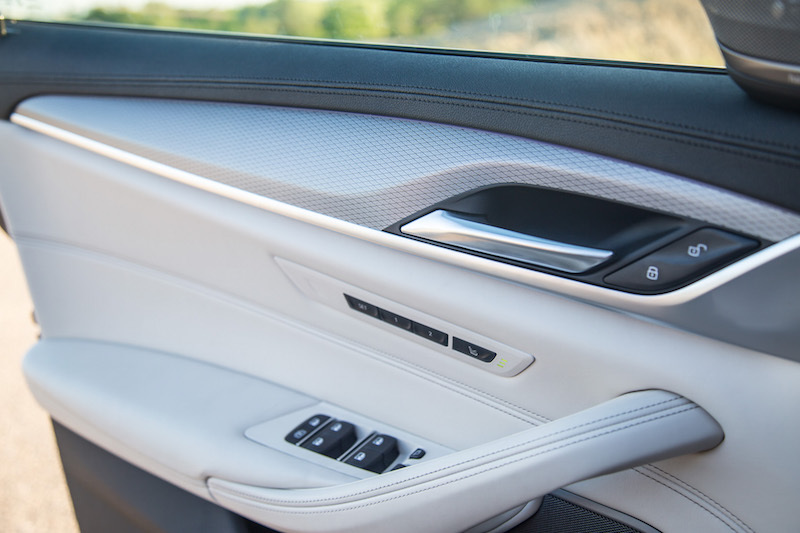 One option I did find myself yearning for was the full Nappa leather that encapsulates the dash and doors, and truly elevates the 5 to 7 Series levels of luxury. The same complaints about the 540i also apply here. 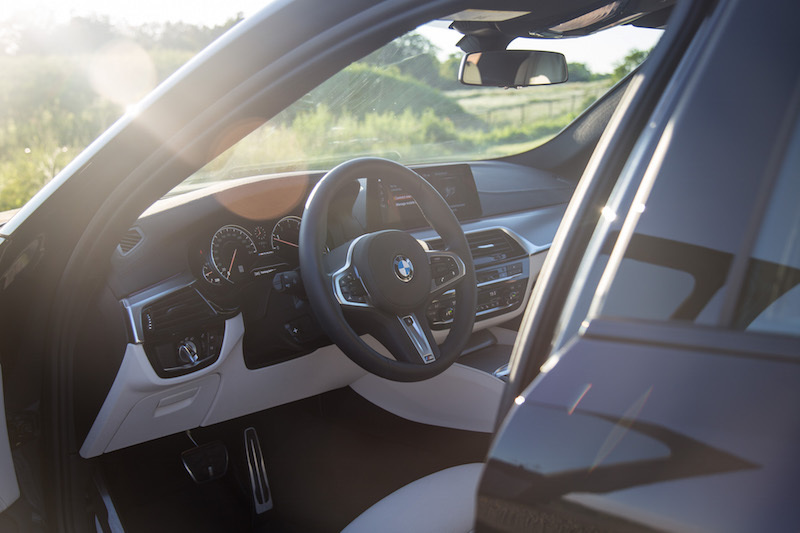 The steering rack needs to be quicker to make the M550i feel sportier and more communicative, and the back seats definitely need a stretch - there’s barely enough room back there for two, let alone three adults. 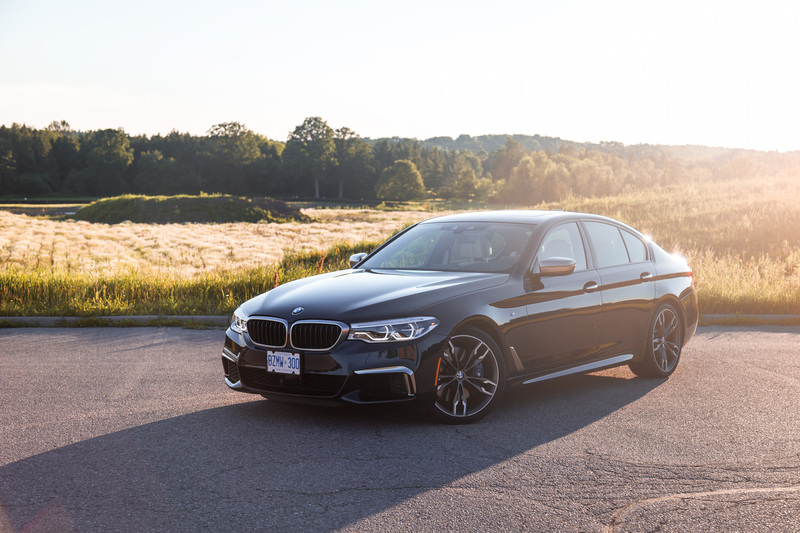 There’s something appealing about a luxury sedan that can brave four seasons yet out-accelerate an M5, one that does so in the most suave yet blasé way possible. 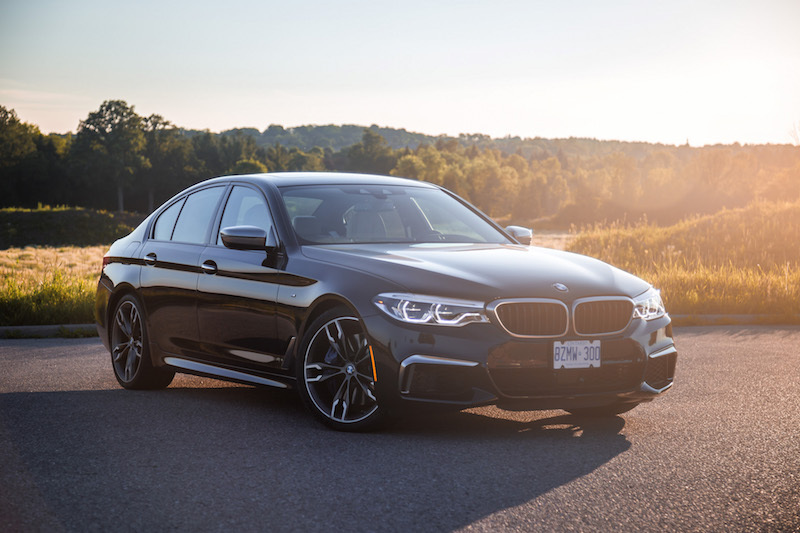 The M550i xDrive is one such vehicle, and though it’s mature demeanor may not win the hearts of showboaters and boy racers, the M550i’s athletic physique, prodigious power, and overall sleeper status earns it the 5 Series crown, for now.